With the state unable to provide jobs and the private sector not willing to invest in a big way, the educated Keralites have no alternative but move out to other parts of the country. If lucky, unskilled and semi-skilled workers land up in permanent jobs in the Gulf region with the help of sponsors. The unemployment scare is a sensitive topic in Kerala. While the state government assures of all possible help with steps to speed up industrialisation, the joblessness is only increasing in Kerala. The Kerala Migration Survey-2014 has found the state's inability to provide suitable jobs to the educated youth force them to fly abroad in search of career prospects. Moreover, the youth is still enamoured of job prospects in the Gulf though times have changed drastically from the rosy period of 1970s-80s that witnessed mass migrations. A vast majority of people on the live registers of the employment exchanges are educated youth who are averse to manual jobs. They prefer either a government job even if in lower grades or willing to relocate themselves to the Gulf region. 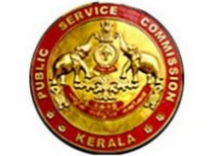 As many as 5.2 lakh people appeared for the State Public Service Commission test for 1,500 positions of assistants in the secretariat in May 2015. The applicants included many professionals, postgraduates, M. Phil holders and doctoral researchers. At home, educated Malayalis want a government job. But they are ready to do even menial jobs under extreme weather outside the country. The flow to the Gulf that started in the 1970s following the oil boom is still continuing. The number of expat Malayalis has been estimated by various agencies to be above 30 lakh, but a door-to-door survey conducted by the Bureau of Economics and Statistics in 2013 revealed that the actual number was 16.25 lakh. With the out-migration showing no sign of abating, the job market in Kerala will soon be dominated by migrant labourers from other Indian states. This is based on the local demand, especially in the construction sector which now employs 60% of the migrants. The demographic changes making Kerala attain a zero population growth in the next few years may also lead to further labour flow into the state. The working age population (15-59 years) has been witnessing a steady decline. According to the Centre for Development Studies, the growth in this category dropped from 9% in 1961 to 7% in 1991 and is projected to hit 4% by 2021. Though Kerala registered a growth of 8.24 per cent in 2012-13, the state recorded the highest unemployment rate in the country in the category of larger states according to the latest Economic Review of Kerala. According to Economic Review of Kerala, there are 39.78 lakh unemployed people registered in the live register of the employment exchanges in the state in 2013. Kerala's unemployment rate is 7.4% which is much higher than the national average of 2.3% as per the 2013 data. But there is a reduction of 2.5% in unemployment rate than last year. According to Economic Review 2012, Kerala's unemployment level was 9.9%. Kerala's unemployment rate for those aged between 15 and 59 was 16.5% against the national average of 5.8%. But the comparison with 2012 shows that unemployment rate is gradually reducing in Kerala. In 2012, according to the live register of the employment exchanges, the number of unemployed people stood at 45 lakh whereas in 2013, there has been a reduction of 5.2 lakh persons. Another interesting fact is that unemployment in Kerala is found to be much higher among women compared to men. The total number of unemployed women in Kerala stood at 23.86 lakh making them 60% of the total unemployed persons in Kerala. Kerala's economy depends on emigrants working in foreign countries, mainly in the Gulf states. Remittances annually contribute more than a fifth of GSDP. In 2008, the Gulf countries together had Keralite population of more than 2.5 million, who sent home annually a sum of $6.81 billion, which is the highest among Indian states and more than 15.13% of remittance to India in 2008. In 2012, Kerala received the highest remittances of all states: $11.3 billion, which was nearly 16% of the $71 billion remittances to the country. In 2015, NRI deposits in Kerala have soared to over Rs 1 lakh crore, amounting to one-sixth of all the money deposited in NRI accounts, which comes to about Rs 7 lakh crores ($115 billion). Foreign remittances augment the state's economic output by nearly 25%. The migrants' families are three times likely as those of non-migrants to live in superior housing with modern comforts. Also, the NRI families are about twice more likely to have telephones, refrigerators and cars than those who don�t have an expatriate in the Gulf or other countries. Pathanamthitta and Thrissur districts have on an average one member from each household as non-resident Indian. However, a study by the Kerala State Planning Board, suggested that the state look for other reliable sources, instead of relying on remittances to finance its expenditures. According to a study done in 2013, Kerala also loses about Rs 17,500 crores every year, through the sizable population of migrant labourers in Kerala, which is a considerable amount compared to the annual state budget. Kerala has proposed a comprehensive Mission on Employment Generation (MEGA) to provide direction and oversight to self-employment programmes to be implemented with the assistance of governmental agencies and banks. The mission will support services including skill development, business planning, financial linkage, technology and infrastructure support to potential entrepreneurs. It is also envisaged to set up business incubators in all districts and technology incubators in all sectors. The scheme is provisioned to constitute state specific credit guarantee fund, seed fund, angel fund and incubation infrastructure challenge fund. An amount of Rs 25 crore is provided for this ambitious MEGA initiative.